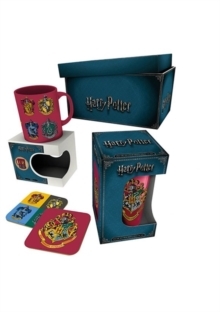 This Harry Potter Gift Set comprises of one mug, large glass and 2 coaster all featuring the instantly recognisabe house crests. Perfect for the most serious Harry Potter fans, this gift set comes presented in awesomely themed packaging. This title is available for premium delivery and same day dispatch if ordered before 2pm.